A manhunt in Rhode Island ended in a highway shootout between a driver and police in which over 40 shots were fired. 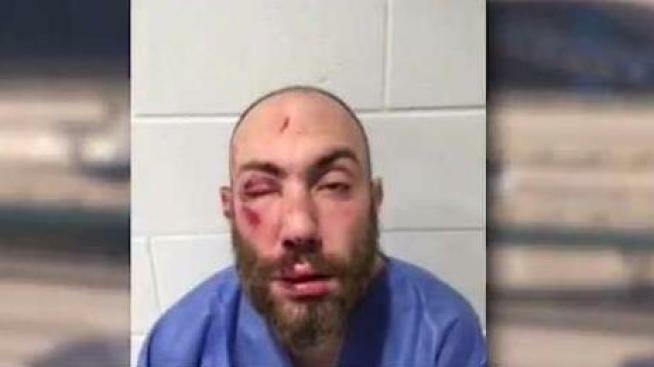 More than 40 rounds were fired by police into a white pickup truck, which had no weapons inside, during a deadly police shooting on Interstate 95 in Rhode Island, and the man who stole a state police cruiser, triggering the manhunt, is still on the run, according to police. Providence Public Safety Commissioner Steven Pare also discussed footage from body cameras worn by some of the officers during the shooting, which happened Thursday around 10:45 a.m. on the a jam-packed section of road where two highways merge alongside the city's downtown district. Earlier, Pare said nine to 10 officers fired their weapons; of those officers, five are Providence police officers. It's still unclear how many state police officers fired their weapons. Of the five Providence police officers who fired their weapons, three had body cameras on their person, but only one was properly turned on by an officer. The body cameras were installed a few months ago. 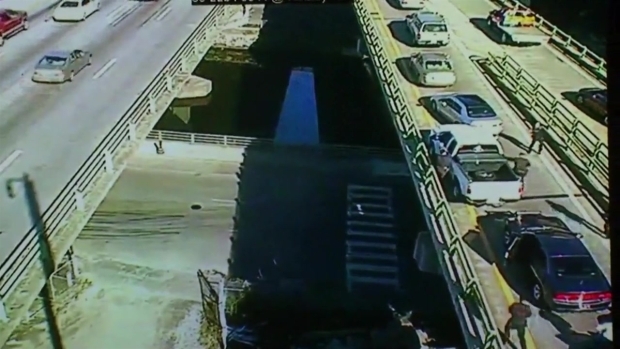 Footage from a nearby traffic camera that caught the incident was released Friday. The video shows the truck ram into several cars to try to get away from police. The truck's windows were completely blacked out so they could not see if there were weapons or who was inside, according to police. Police said the man killed in the pickup truck was 32-year-old Joseph Santos and his passenger was Christine Demers. She was taken to Rhode Island Hospital, where she remains in critical condition. Police said on Thursday that the shooting on Interstate 95 was connected to the theft of a Rhode Island State police cruiser on Route 146 earlier that day; however, police later clarified that day the people involved in the shooting were not connected to the cruiser theft. "The individual that was shot and killed by police officers is not the person that stole the trooper car," Pare said. Pare added the shooting wasn't a mistake because the driver of the pickup truck was driving aggressively, noting that the truck was ramming other vehicles and reviving its tires. "We are investigating why this person did not stop and why police had to use deadly force," he said. Police released video of the scene after a wild police chase that ended with a shooting on I-95 in Providence, Rhode Island. Warning: Video may be too graphic for some viewers. Police have identified the man who stole the trooper's cruiser as Donald Morgan, who was handcuffed at the time when the trooper had to stop at a crash scene in Providence. Morgan allegedly somehow got into the driver's seat and drove off, eventually leaving the cruiser on Vineyard Street. Police were reportedly told that the suspect in the cruiser had fled in the bed of a white pickup truck. Cranston police then tried to stop a white pickup truck, which led to the shooting on Interstate 95. Law enforcement officials could be seen combing the South Providence neighborhood with guns and police dogs after it was determined the people in the pickup truck on Interstate 95 were not connected to the stolen cruiser. Rhode Island State Police ask anyone with information on Morgan's whereabouts to call police at 401-444-1000.